Find out more about our nationally recognised courses. See our partnerships with other industry leaders. Safety Training & Inductions Pty Ltd started in 2002, by Keith Murray, and identified there was a need to establish a hands on Training Provider within the mining industry sector. We have grown to have a high focus on providing excellence in Statutory qualifications in the underground mining sector. 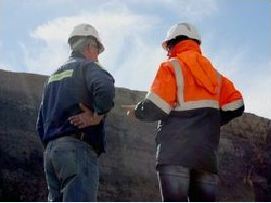 Safety Training and Inductions Pty Ltd partners with Industry experts to achieve the highest standards in Workplace Health and Safety to the mining Industry. Underground mining Statutory qualifications is not our only market, Click here for our full suite of courses and expertise. Safety Training & Inductions have an excellent team who's focus has and always been on the training outcomes that has set us apart from the competition. "At Safety Training & Inductions I have the best team of Mining and Industry professionals helping me to help your company achieve a safe workplace. Since starting in 2002, Safety Training & Inductions has gone from strength to strength, currently we deliver Undermanager's and Deputy courses throughout the Illawarra and Hunter Valley regions and as far out as Narrabri. Myself, together with my small but dedicated team, ensure the success of these courses as well as a full suite of other courses by engaging with our clients and tailoring training courses to industry organisational needs." A.B.N: 63 103 169 348.